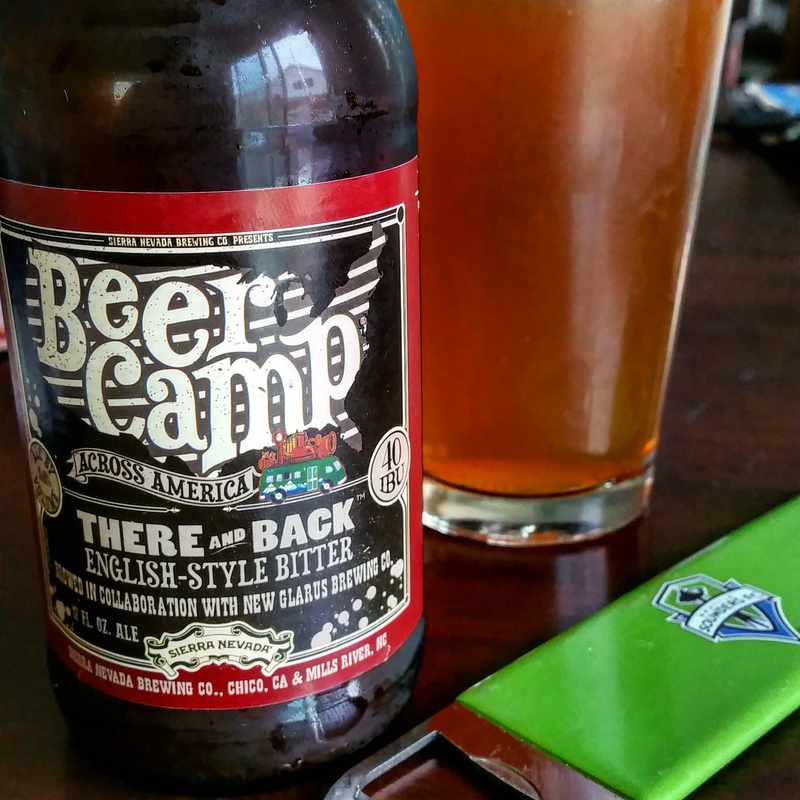 I bought two 12-packs of Sierra Nevada’s collaborative brewing endeavor, Beer Camp Across America, when I first saw them in stores during the summer of 2014. I purchased them in late August, brought them home and happily stored them on my brewing station… and then subsequently forgot all about them. The school year began, and with it came a whole host of other considerations – new students, an altered schedule, a brand new class, and working with a full-time student teacher – all of which took precedence over my methodical beer sampling. I knew that I would need to spend some time with these brews; to savor what was sure to be the only examples of these limited collaborations that my taste buds would ever be privy to. So I let them sit… until a few weeks ago, when I noticed the forlorn boxes sitting in the same place I had set them so many months before, practically begging to be opened. So in honor of the first one of these special brews I am also kicking off my new “Brian’s Brew Review” blog format. The first thing you notice when you take a sip of There and Back English-style Bitter is (oddly enough) the bitterness. It’s not a citrusy, hop-forward character, like that of your generally-floral American IPA, but a smooth bitterness characteristic of the style. While that first impression lingers on the tongue and slowly coats the roof of your mouth, you begin to notice the easy-drinking medium bodied feel of the beer. This gives way to a subtle breadiness, and then a lingering bitter aftertaste. Most notably, both the aroma and flavor of the copper-colored brew have a subtle note of caramel that’s oddly comforting. It begs to be consumed. There and Back is the collaborative endeavor of Sierra Nevada Brewing Co. and New Glarus Brewing Co. Pick one up… if you can still find them! 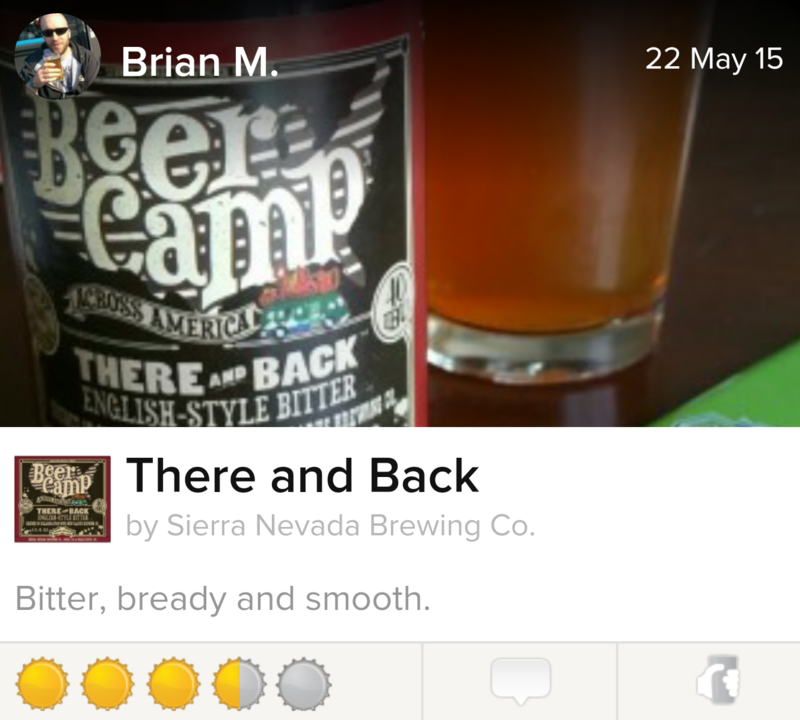 Check me out on Untappd to see what I’ve been into lately! Previous Entry Best Chocolate and Peanut Butter Chip Cookies!